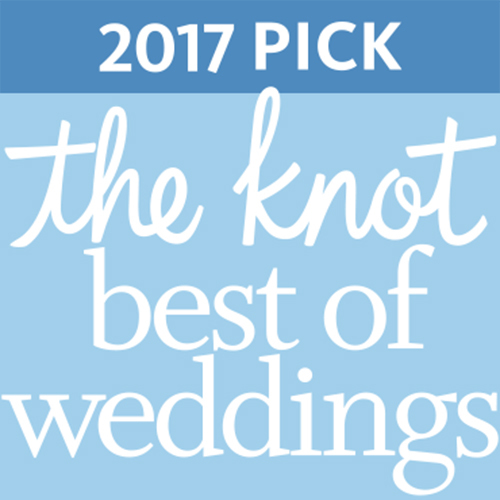 Indigo Envelope made The Knot’s Best of Weddings for the 6th time! 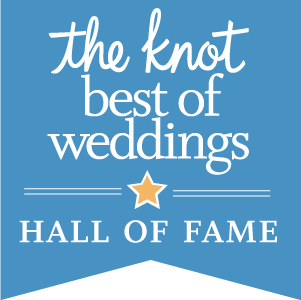 The Knot is one of the top wedding resources and also the nation’s largest source for wedding news and inspiration. It’s a great resource for both couples and vendors alike therefore we are honored to be given this award. Indigo Envelope would not be the business it is without our amazing clients! We have them to thank not only for this award, but also for allowing us to create the invitations of their dreams! Often, we hear from new clients that former clients referred them to us. We find that to be best of compliments. Reading the positive reviews makes our jobs very rewarding. Most of all, nothing makes us happier than seeing our client’s smiling faces on their wedding day and knowing we had a small part in that. If you’re considering working with us on your invitations and details, check out the reviews on The Knot. Indigo Envelope is happy to announce that we are a featured Envelopments dealer in the Winter 2017 issue of Martha Stewart Weddings titled “The Inspiration Issue”! We use Envelopments stationery materials in the creation of all of our original designs. We are also able to take advantage of their many template designs, as we are an Envelopments dealer. With more than 300 colors of paper and envelopes, there is something for every event! 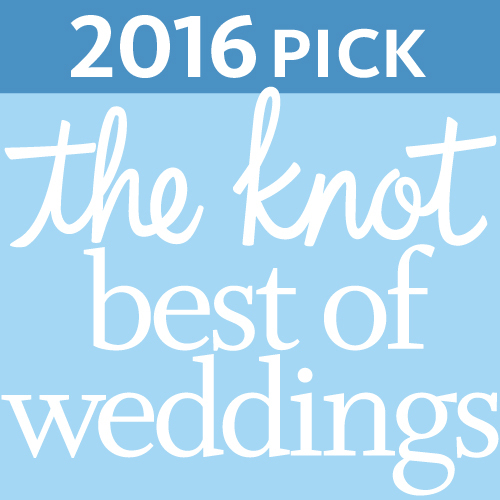 Indigo Envelope made The Knot’s Best of Weddings for the 4th year in a row this year! 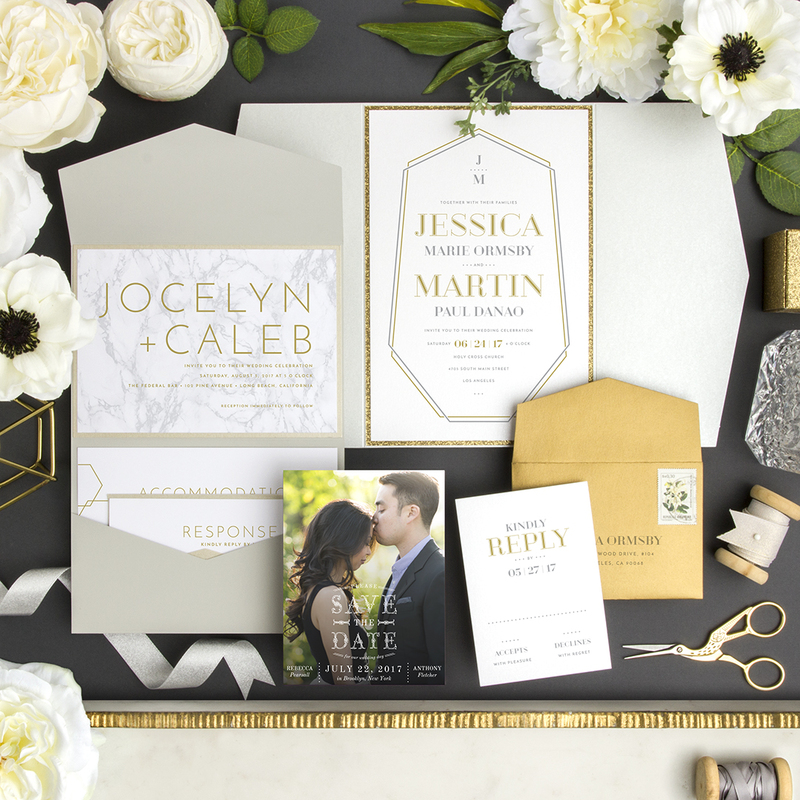 A trend that is taking the wedding invitation marketplace by storm lately revolves around featuring strong, bold, typography focused elements. As designers, this is music to our ears. We love playing with typography, and when it also gets to be a key focus of the design, that’s even better. This was our chance to put our own spin on the trend, mixing it with travel-themed elements. 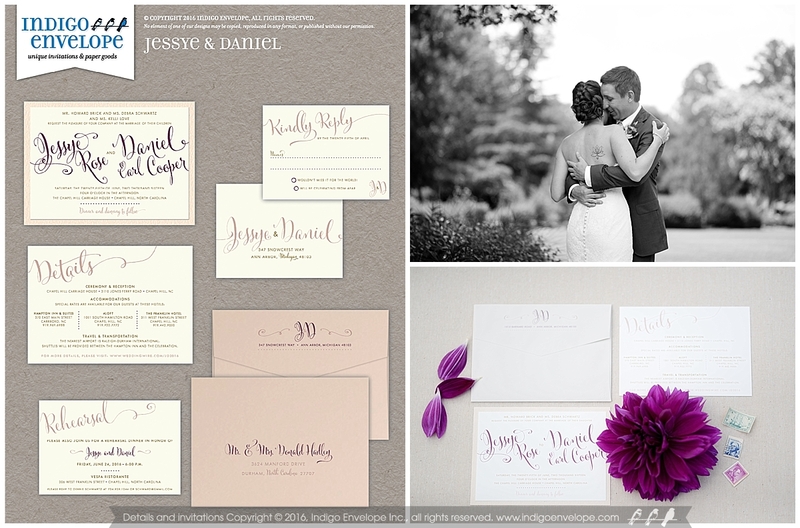 This suite features warm ecru paper, blush key features, and eggplant accents. A textured “seashell” paper backing card with subtle gold reflects adds polish as well as pop to the suite. Most noteworthy, the main typeface used added the perfect amount of flair in addition to a handmade feel. 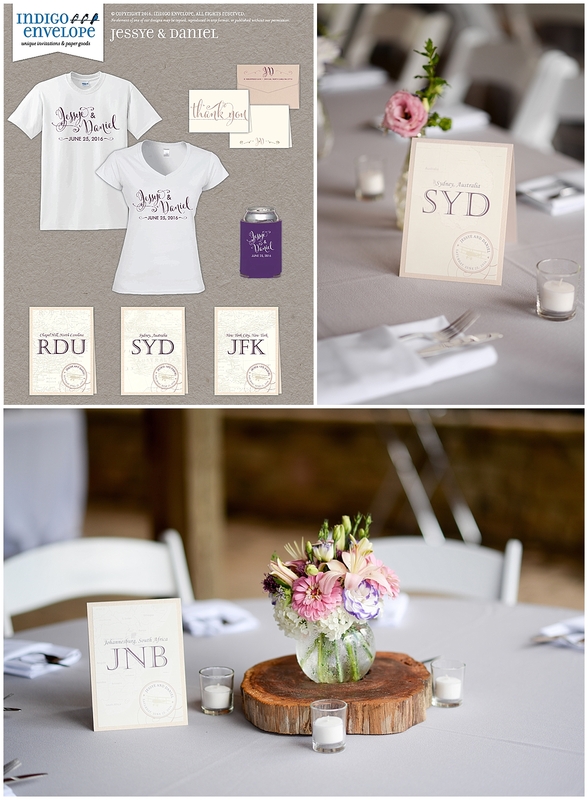 A monogram of the couple’s initials was also created to tie their style through to the envelopes and thank you notes. Boarding passes took the place of place cards for this reception and corresponded to a “location” found on the matching tables markers. (We really love doing travel themes and have many ideas we can tweak for your event!) T-shirts and koozies made for useful mementos of the occasion. The year is coming to a close and the results are in. 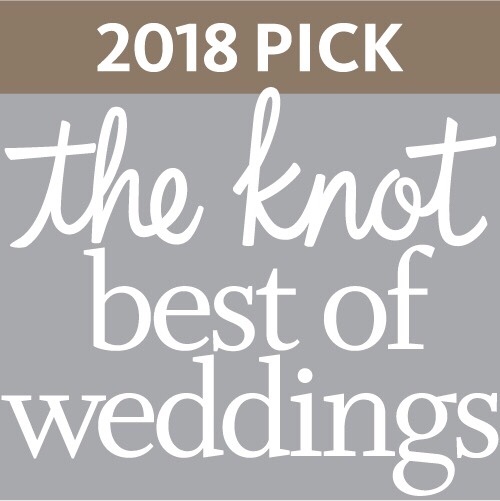 Indigo Envelope made The Knot’s Best of Weddings for the 3rd year in a row! 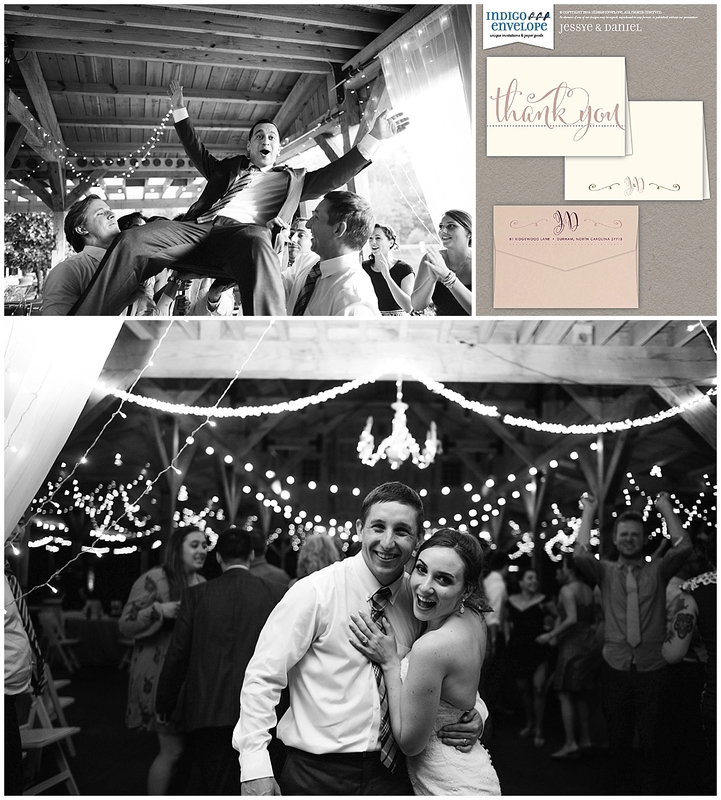 This win also secured us a spot in The Knot’s Best of Weddings Hall of Fame! We have our clients to thank for taking the time to write the reviews that got us to these goals. 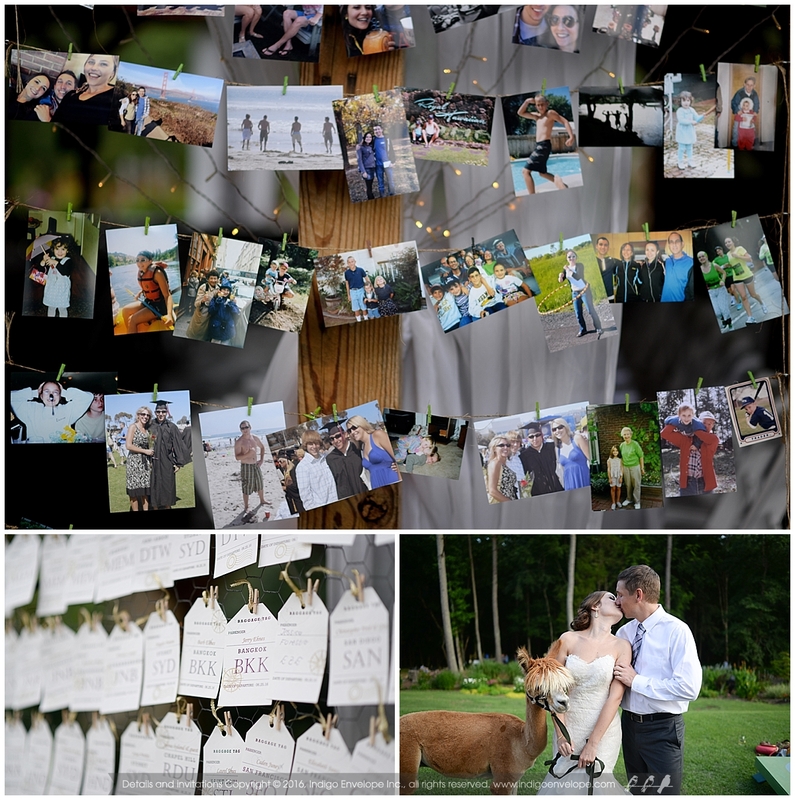 We love helping clients create the invitations and details of their dreams. It’s very fulfilling to see how happy they are on their special day.